Published on 10 April 2014. 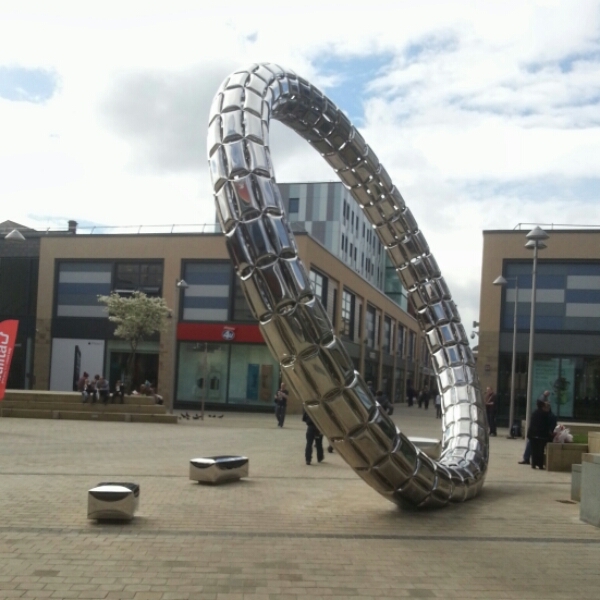 This is Halo, the new sculpture at the centre of the new(ish) Trinity Square in Gateshead. It was designed by Steve Newby, and apparently represents the town’s industrial heritage and the cycle of regeneration. I’m not sure quite what aspect of Gateshead is represented by the wonkiness, though. This 2,203rd post was filed under: Photo-a-day 2014, Scrapbook.